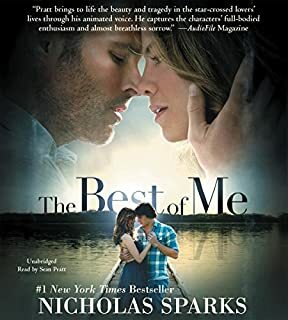 Nicholas Sparks, best selling author of A Bend in the Road and A Walk to Remember, returns with this touching tale of two vulnerable people who find love in the eye of a storm. Not a "happily ever after" book! It was 1958, and Landon had already dated a girl or two. He even swore that he had once been in love. Certainly the last person in town he thought he'd fall for was Jamie Sullivan, the daughter of the town's Baptist minister. Then a twist of fate made Jamie his partner for the homecoming dance, and Landon Carter's life would never be the same. Divorced and disillusioned about relationships, Theresa Osborne is jogging when she finds a bottle on the beach. Inside is a letter of love and longing to "Catherine", signed simply "Garrett". Challenged by the mystery and pulled by emotions she doesn't fully understand, Theresa begins a search for this man that will change her life. What happens to her is unexpected, perhaps miraculous - an encounter that embraces all our hopes for finding someone special, for having a love that is timeless and everlasting. Awesome book! Totally surprised by the ending. In January 2003, Nick Sparks and his brother Micah set off on a three-week trip around the world. It was to mark a milestone in their lives, for at 35 and 36, respectively, they were now the only surviving members of their family. As Nick and Micah travel the globe, the intimate story of their tragic family legacy unfolds in the details of the untimely deaths of their parents and only sister. But even as Katie begins to fall in love, she struggles with the dark secret that still haunts and terrifies her... a past that set her on a fearful, shattering journey across the country, to the sheltered oasis of Southport. With Jo's empathic and stubborn support, Katie eventually realizes that she must choose between a life of transient safety and one of riskier rewards... and that in the darkest hour, love is the only true safe haven. A Different Spin on Nicholas Sparks! 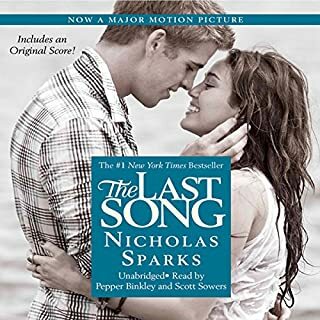 I LOVE Nicholas Sparks novels, but they can be somewhat predictable. This novel was the first to keep me wondering every second what would happen. You become attached to the characters he builds up, and he does a great job of setting up the climax of the novel by telling the story from 2 different perspectives. This was more mystery-romance than any others he has done so far and I loved it! What made the experience of listening to Safe Haven the most enjoyable? Where does Safe Haven rank among all the audiobooks you’ve listened to so far? I like books that have a complete ending. The book could continue on if the author so chooses but I highly recommend this story. I liked that the ending was a great climax. The last scene where. "Joe" comes to be known. If you could take any character from Safe Haven out to dinner, who would it be and why? Katie. I'm in a similar position. 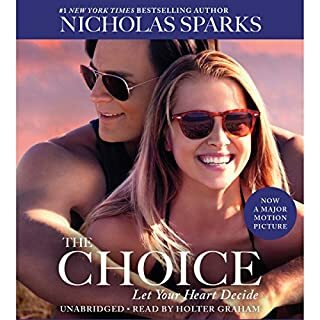 This book begins much the same as all of Nicholas Sparks books, with likeable characters that you feel like you would like to befriend, or already know. "Safe Harbor" will keep you listening with a "Sleeping with the Enemy" theme but ends in a suprising way that makes you wonder why you didn't see it coming, yet leaves you genuinely satisfied with the story. This is my third Sparks novel and I’m becoming a big fan. 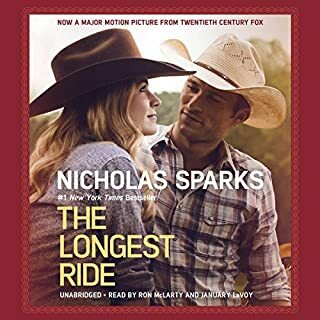 I say it's a classic Sparks’s novel because it’s based in a small town in North Carolina, there is a heroine you can relate to and feel for, a strong hero, and a nasty villain. I really enjoyed this storyline and just recently I saw a preview for a movie, which is no surprise that yet another Sparks novel will be translated to fit on the big screen. I felt the narration was very well done and I enjoyed her range of characters. Would you consider the audio edition of Safe Haven to be better than the print version? This was a great story and I enjoyed it very much. What was one of the most memorable moments of Safe Haven? When you find out the "truth" about Jo. What about Rebecca Lowman’s performance did you like? Very happy to see this coming out as a movie!! One of my favorites! I love Nicholas Sparks! Love the true love twists! for about the first 15 chapters, mostly the characters just talk to each other about their tragic pasts and random inconsequential things like whether they were wearing enough sunscreen. There was also lots of unnecessarily details about making food and brushing teeth and whatnot. then we met the villain. And I have to say I'm super tired the villains being simultaneously Psychopathic, violent and so religious that they are able to quote scripture from memory. this just smacks of religious bigotry. that said, the twist at the ending was good. Pretty much predictable.... Jo was a little far fetched. Very enjoyable...clean. I would recommend it. This book is awesome. It had me captivated from beginning to the end. Rich characters and excellent dialogue.